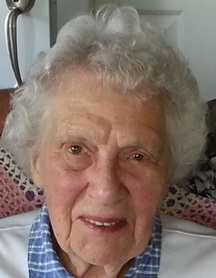 Mom peacefully passed away on April 7, 2019 at the age of 99 years. She was born in Winnipeg on March 7, 1920. Mom was the youngest of her four siblings and second daughter to her parents Burnham and Mary Helena Calvert. She is survived by her son Harold Green (partner Lynn), daughter Joy Lenton (Gary), and youngest son David Green (Leslie), grandchildren Jamie, Lisa, Crystal, Jeffrey, Darcy, and Sean, and great grandchildren Jaxon, Ethan, Oliver, Isla, Jahseena and Jahlyrika. She was predeceased by her parents and siblings, granddaughter Krista Dawn in 1977, grandson Kyle in 2012, her first husband David Green in 1969 and her second husband William (Bill) Dempsey in 2008. She is also survived by Bill’s children Billy Dempsey (Jennifer), David Dempsey (Karen), and Shawna Dempsey, as well as several grandchildren and great grandchildren from their families. Mom spent the first seven years of her life in Winnipeg until the family moved to their farm at Pleasant Point approximately nine miles Southeast of Carberry MB in 1927. Mom attended the country school at Pleasant Point and completed grades 10 to 12 in Carberry. During these later three years she and her adopted sister Dorothy Stewart would spend the week in town and did light housekeeping work to help with room and board. During 1939, she took a homemaking course and received a medal award for achievement. This intrigued her to decide to enroll in teacher training at the Normal School in Winnipeg from 1940 to 1941. She obtained her teaching certificate and began teaching in her first classroom at Prosser School just a few miles Southeast of Carberry. Mom also taught at Fairfield and Highview rural schools in the Killarney area. She taught for several months at the Ninette Sanitorium until her daughter, Joy, contracted chicken pox. She spent most of her 25 plus years teaching Grade 5 at the Killarney Elementary School. Mom was a dedicated teacher putting in countless evening hours checking students’ workbooks after supper. In 1946, Mom married Dave Green from the Hullet District near Killarney. Early years were spent on the farm and Mom commuted to teaching jobs until the family moved into Killarney around 1957. After Dave’s passing in 1969, Mom married Bill Dempsey in 1974 who was also originally from Carberry. Bill had a successful career in Toronto so the next 30 years were spent down east. However, each year they would come back to Carberry and spend the summer on Bill’s family farm. At the persuasion of family, Bill and Evelyn moved back to Carberry in 2004 to be closer to where family could visit more frequently and help out in their aging years. Mom was a strong willed, dedicated, independent individual. 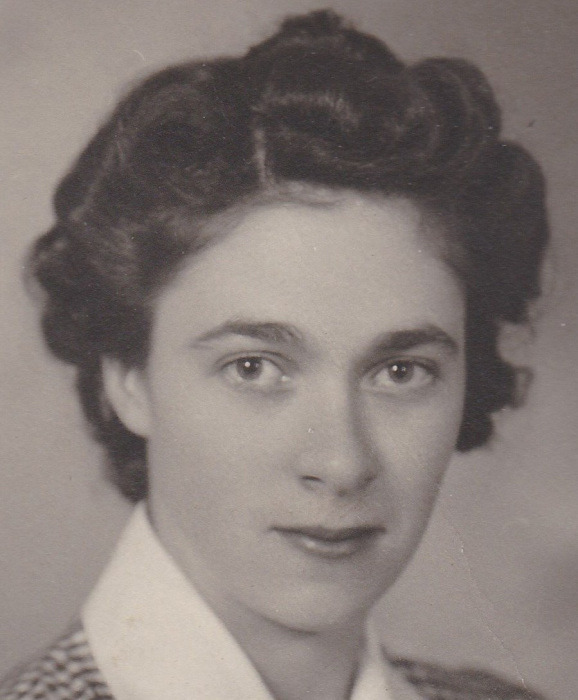 She was a longstanding member of United Church Women’s Institute (UCWI) and involved in the United Churches in Killarney, Toronto, and Carberry. She enjoyed her china painting hobby while in Toronto and the china baby boots she made for her grandchildren are well cherished. The family would like to thank Home Care (HC) staff who assisted Mom in Carberry and her regular HC staff members in Winnipeg (Diane, Rena, Kuljit and Nicel), as well as the occasional substitute personnel who navigated Mom’s strong independent personality. Appreciation is also expressed to Seven Oaks Hospital staff that cared for Mom over the last month. The funeral service will be held at the United Church in Carberry, Manitoba on Thursday, April 18, 2019 at 1:00 p.m. In lieu of flowers, please provide contributions to a charity of your choice. White’s Funeral Home is in care of funeral arrangements.